Why change a winning concept? 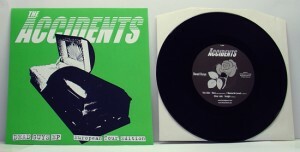 When one of the best bands and the best label in the World has found eachother there’s no point not to continue to work on that is there? 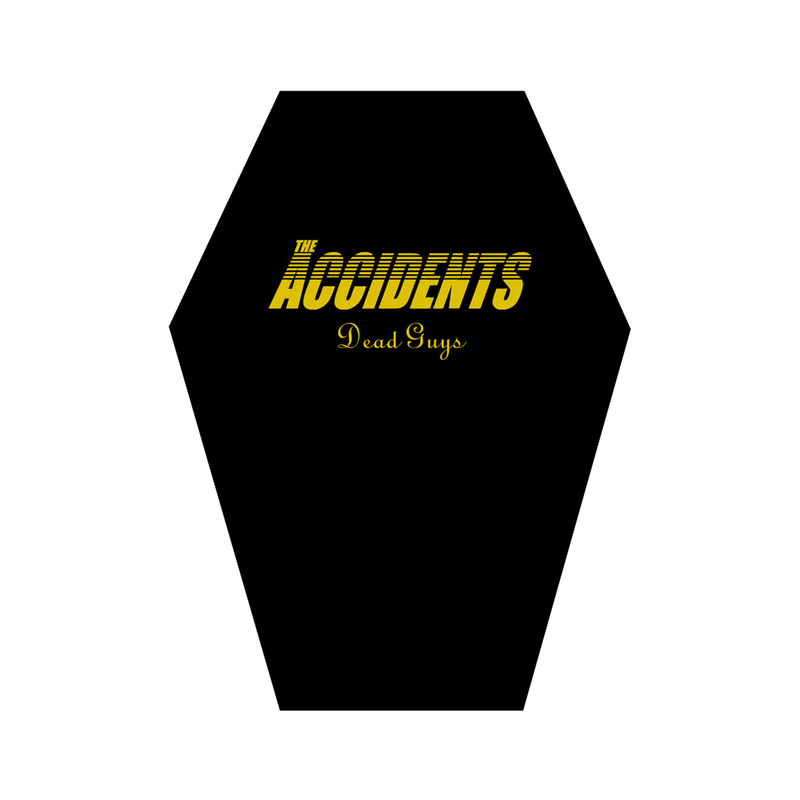 This time The Accidents has recorded three favorite covertracks of their dead heroes. 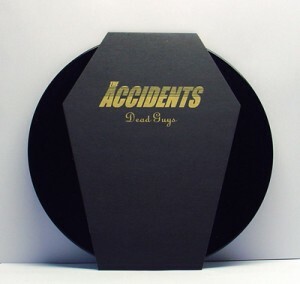 448 copies on black vinyl with handscreened coffinshaped slipcase. 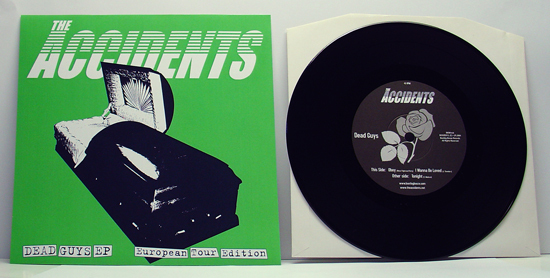 26 copies on black vinyl with the handnumbered green European tour sleeve. 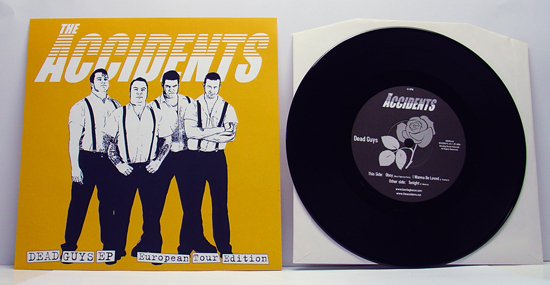 26 copies on black vinyl with the handnumbered yellow European tour sleeve. Cover design by Drunken Pirate. View all reviews of'Booze015' here.